The original Man of Steel returns in full glory, courtesy of Hot Toys. 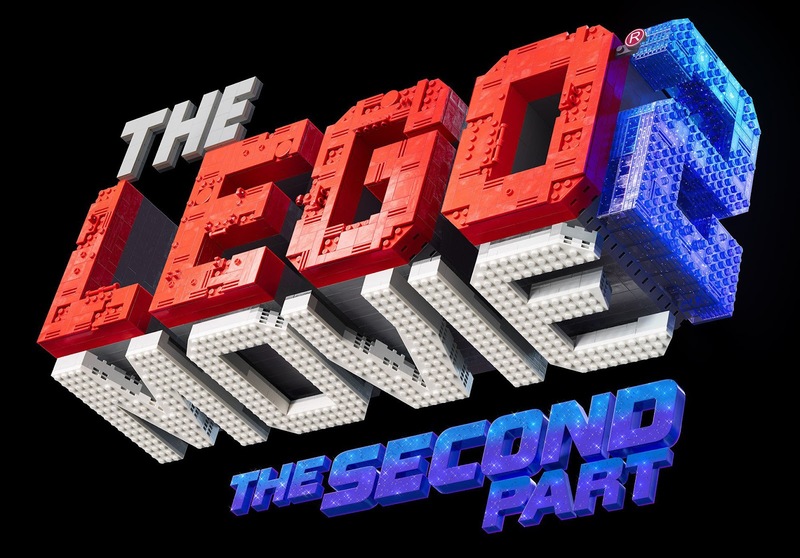 From the folks that have earlier brought us amazing rendition of TRON: Legacy's Sam Flynn (completed with his Light Cycle), 20th Century Boys' Friend, and our 2010 Toy of the Year, the hyper-realistic Heath Ledger version of Joker, Christopher Reeve, as the one-and-only original Superman, is back and will be readily available to be placed in your personal war room come fourth quarter this year. 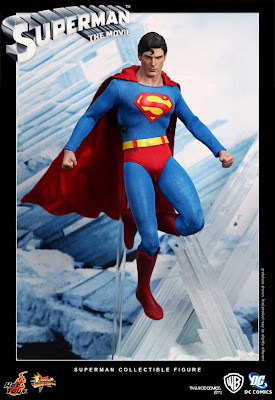 Undoubtedly the best Superman figure we have seen thus far, this 12-inch 1/6th scale Superman Collectible Figure by Hot Toys is specially crafted based on the image of Christopher Reeve, complete with a detailed light-up figure stage imitating the Fortress of Solitude seen in the original 1987 classic film, Superman. 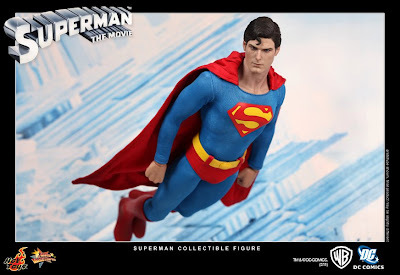 What's more, a portion of the sales from the figure would be going to be a noble cause for the Christopher & Dana Reeve Foundation. 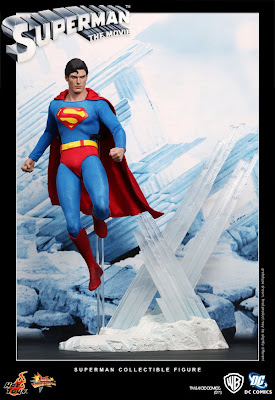 Hit the jump for more information and detailed description on the product. 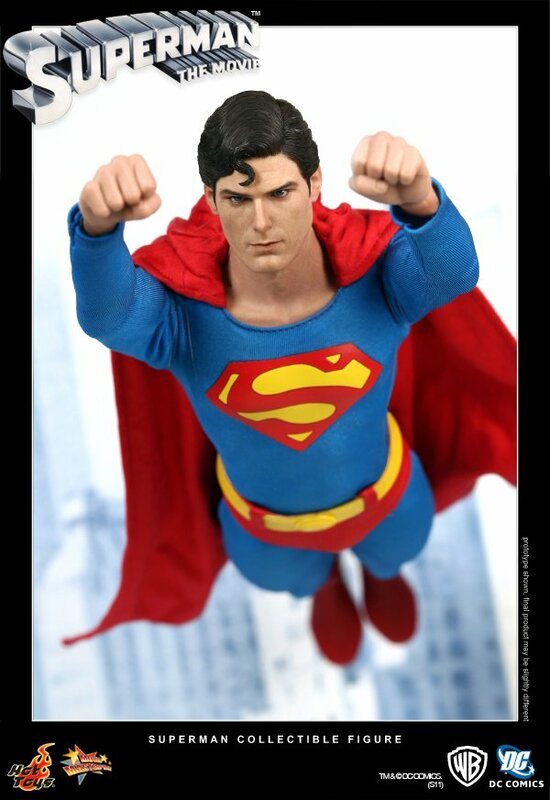 Amid high anticipation, Sideshow Collectibles and Hot Toys are proud to present the Superman 12-inch Figure from the 1978 classic superhero film Superman. 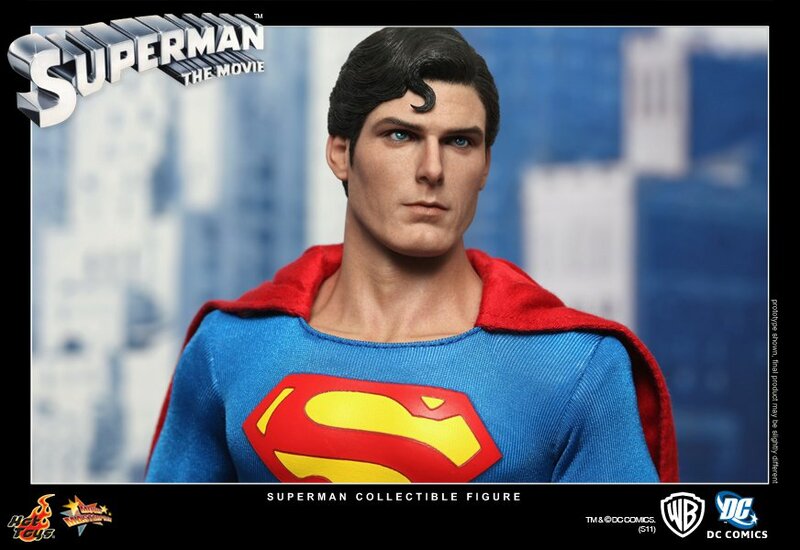 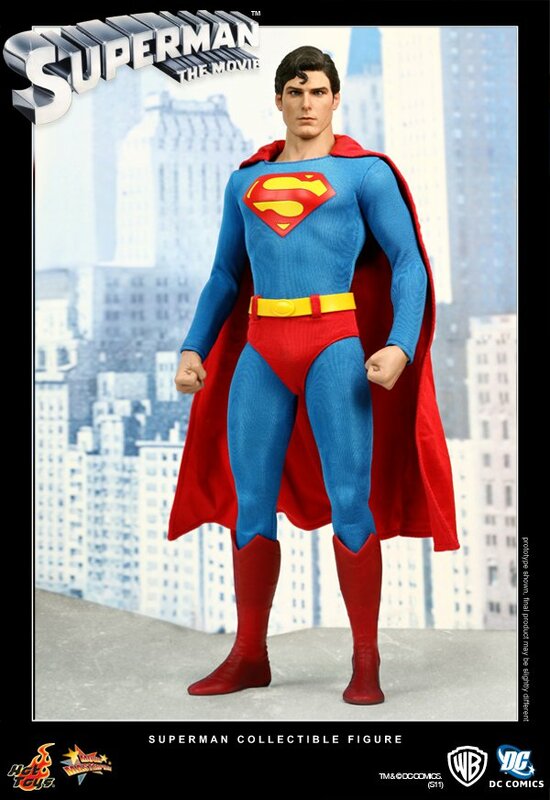 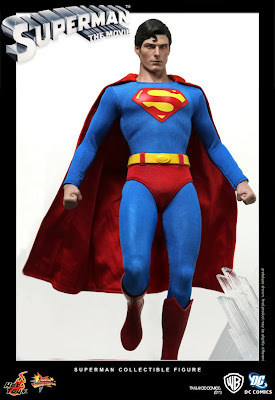 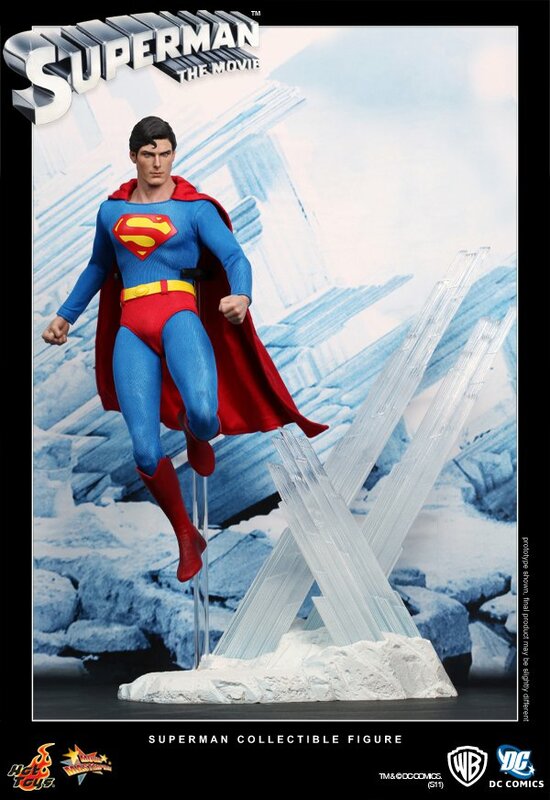 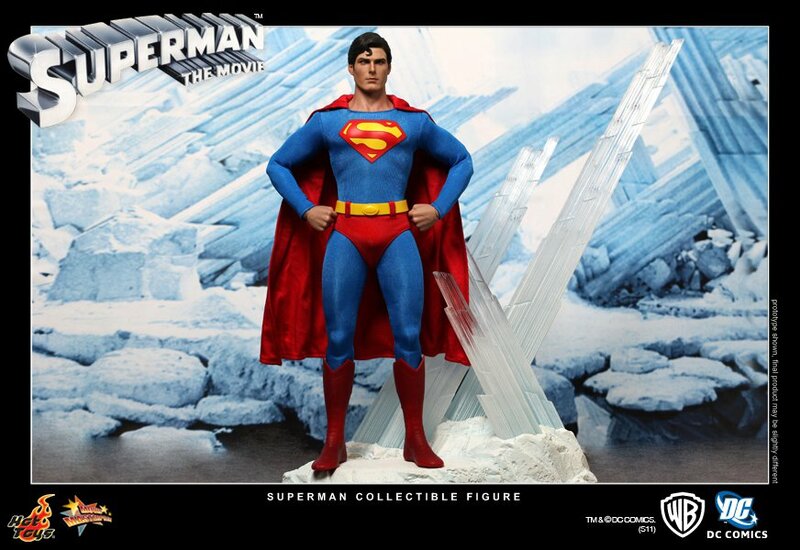 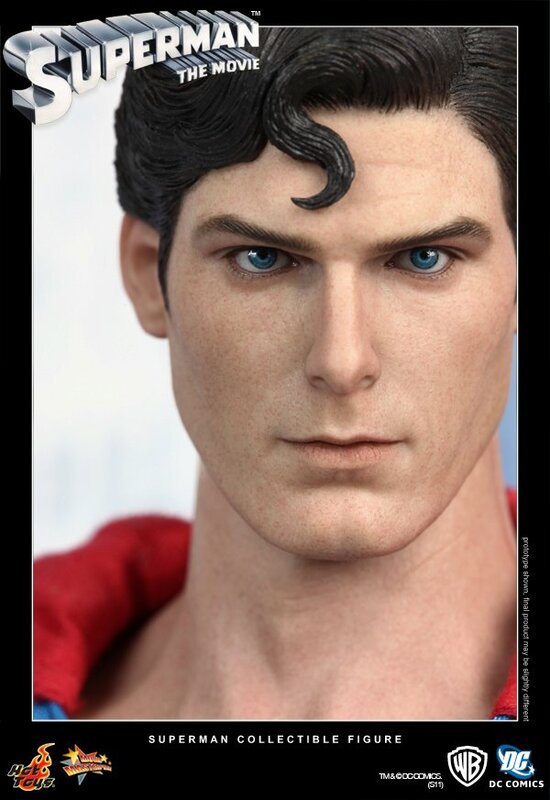 The movie-accurate Superman collectible is specially crafted based on the image of Christopher Reeve as The Man of Steel, highlighting the authentic head sculpt, movie-accurate costume and detailed light-up figure stage imitating the Fortress of Solitude. Additionally, Hot Toys Limited will be donating a portion of this collectible figure's sales to the Christopher & Dana Reeve Foundation. The Reeve Foundation is a charitable organization dedicated to curing spinal cord injury by funding innovative research, and improving the quality of life for people living with paralysis through grants, information and advocacy. 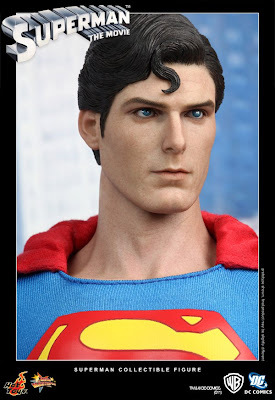 Hot Toy's hopes to contribute to the foundation and the injured through the enjoyment of collectible figures. 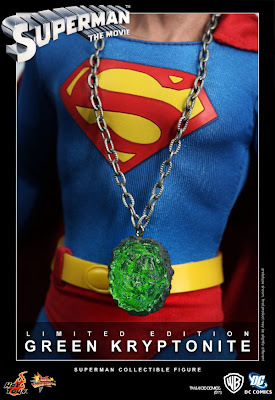 - Sideshow Exclusive: Kryptonite neck chain - Available only within the United States and Europe. 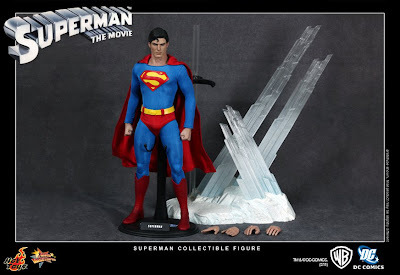 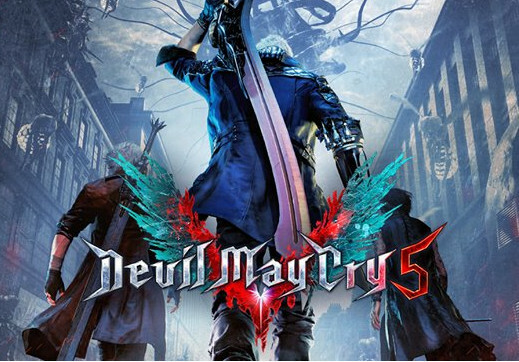 Check out images of the figure below. 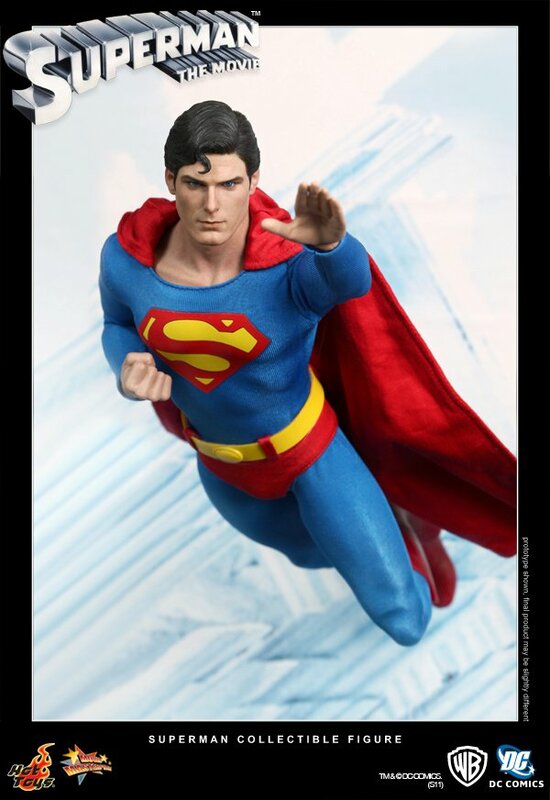 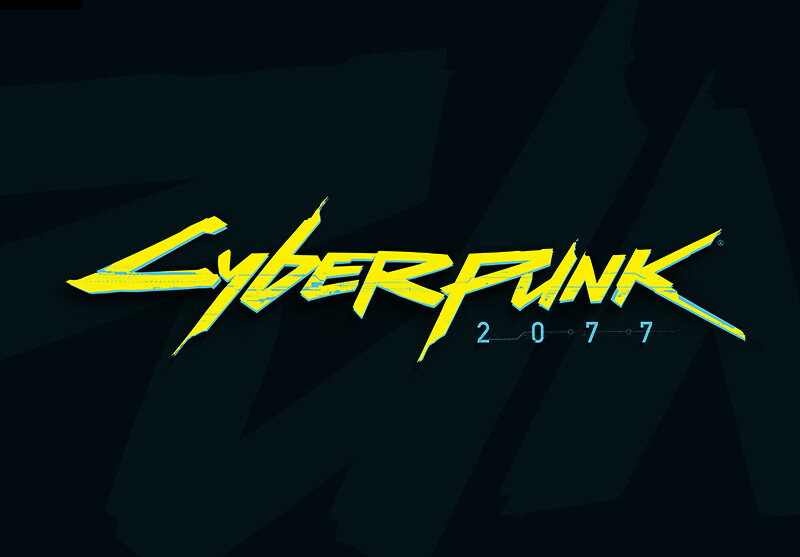 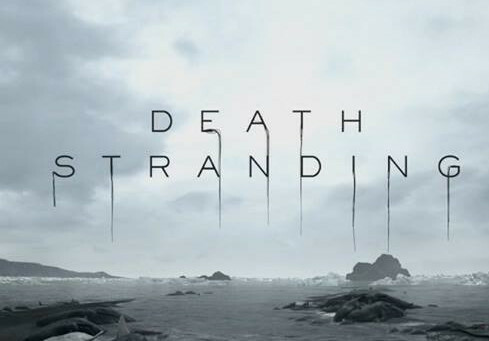 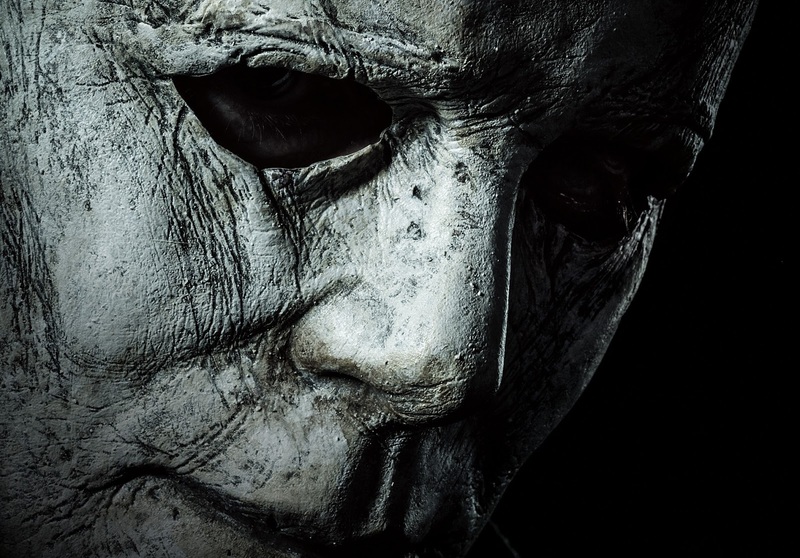 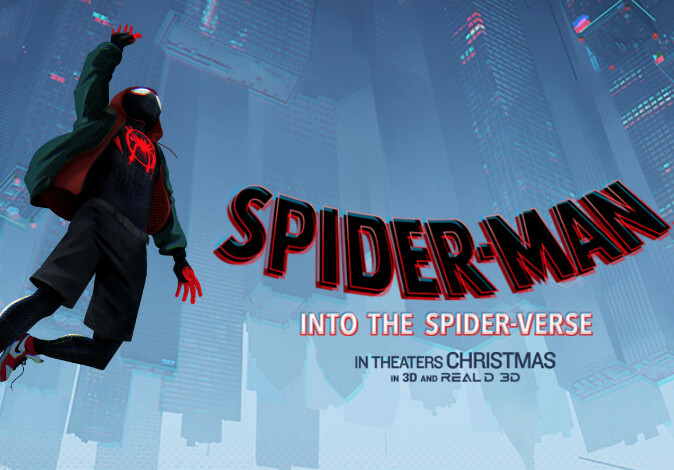 Here's the link to the Japanese webpage of Hot Toys (the HK site has been down for some time), the link to the images at Hot Toys' Facebook page, and the SideShowToys' page.